London Days: Nonni and Sandie's kit club part 2! Today I am sharing the second 2 cards I made from the craft kit Nonni sent me. If you missed the first 2 and how our little kit club started click here for all the details. I actually made another card from this pack but am going to use it for a DT card later in the year. This kit was amazing fun to play with and I would urge any of you who want to have a crafty play with a frined to start their own kit club-hours of joy to be had and all with goodies you don't have in your kit. Two simply fabulous cards, Sandie. Great designs brilliantly executed. I love your choice of colours. Very pretty cards, both are full of 'springtime' goodness!! Thank you for joining our challenge at Double D! Beautiful CAS creations Sandie!! Thanks so much for joining in the fun at our Double D ‘Think Spring’ challenge! We hope you’ll come back often. Well having seen Nonni's cards I couldn't resist a peek at your takes on the kit. Love that you've entered our sketch challenge again with them Sandie and how completely different you and Nonni have used the goodies! Great idea and thanks for playing along with us at Less is More this week. What a fun idea, Sandie. Your purple flowers are so soft and pretty. 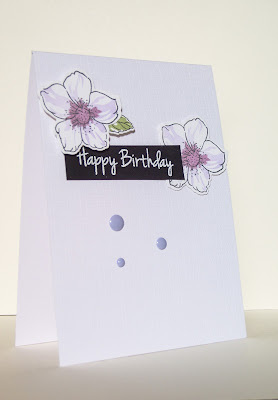 Thanks for sharing your card at Addicted to Stamps and More. Love this...we need to do this together too Sandie! Will message you. Love your gorgeous cards! 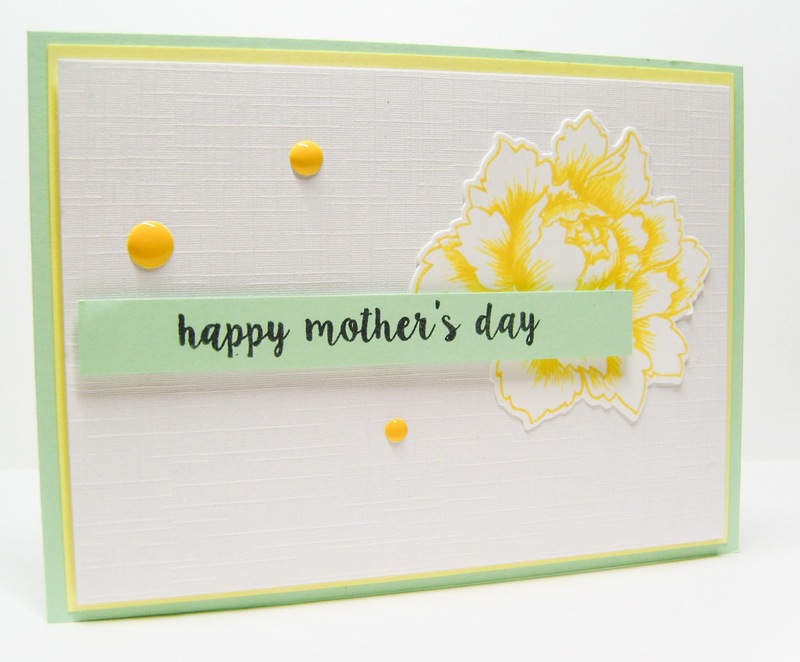 Two beautiful cards....so in love with your gorgeous yellow Mother's Day card....simply stunning. Another two stunning cards, Sandie!!!! 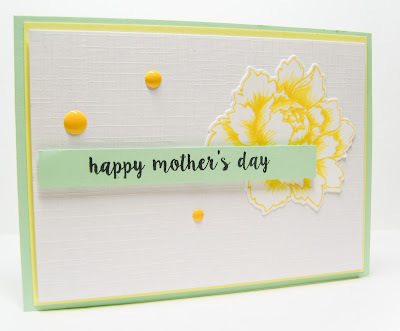 And the beautiful soft green and yellow, again, making such a soft and feminine Mother's Day card with the stunning flower!!!!! The second card is my fave and it's simply stunning, my friend!!!! Love the purple on the flowers!!!! A fabulous CAS creation!!!! Both cards are so beautiful!!!! Gorgeous cards! I'm loving the CAS style! Thanks so much for playing along at Double D Challenges! Such a pretty and delicate card! Thanks for sharing at Less is More! Oooh, both cards speak "spring" to me, but my heart belongs to yellow. Better yet with all the white and the soft, pretty green. Perfect for our spring challenge at Double D! These are beautiful, Sandie! I find you are often making cool, trendy cards, these are more timeless and classy, but you master this style as well and manage to add a flavor of Sandie into the designs.